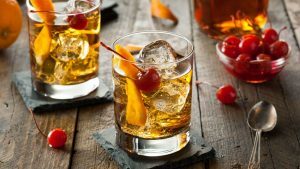 Sweater weather has finally arrived, and with it, we bring a slew of autumn-friendly cocktails to replace those Caesars and margaritas with. 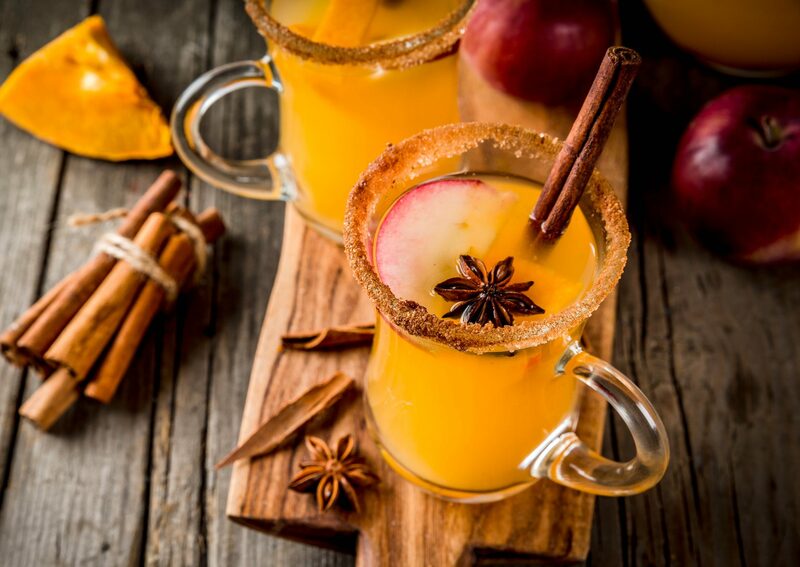 If saccharine pumpkin beverages aren’t your favourite thing about fall, you might find a sanctuary in these lip-smacking alternatives. There’s something about the crisp flavour of an apple that is supremely autumnal. Adding a refreshing zing of basil and fig to that flavour amplifies it elegantly, ten-fold. A touch of maple syrup and lemon add a sweet sharpness to the flavour profile. Muddle the basil and fig and add the remaining ingredients. 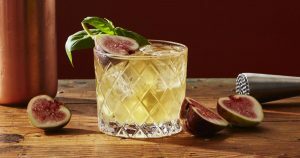 Then, add ice, shake, and strain over fresh ice in a glass, garnished with two mint leaves and half a fig. What’s better than an old-fashioned? One with a subtle Fall season twist. Adding maple syrup to this classic cocktail add a whole world of difference. Simply add a teaspoon of water, and mix the syrup until its dissolved. Then, add one ice cube and garnish with an orange peel! We suggest J.P Wiser’s Triple Barrel Rye. A hot, boozy beverage is sometimes the only way that you can seem to warm your bones on chilly nights. 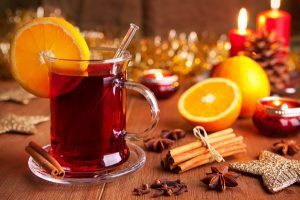 This cider infused mulled wine is the definition of coziness. Plus, you just need to boil all the ingredients in a saucepan for fifteen minutes to create an easy but complex tasting pitcher drink for an event. We suggest Forty Creek’s Small Cask Brandy. 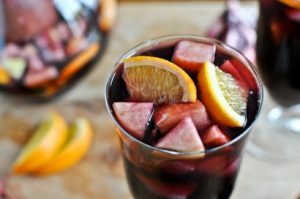 This is just an international twist on mulled wine, and it’s served chilled instead of hot. Fruity flavours of apples, oranges, pomegranates and pears mingle with vanilla and cinnamon. Throw all the fruit and cinnamon sticks in a pitcher, then add the wine, pomegranate juice, sugar, vanilla extract, vanilla beans and brandy over the mix. Voila! Another pitcher crowd-pleaser. We suggest Naked Grape Harvest Red Blend.